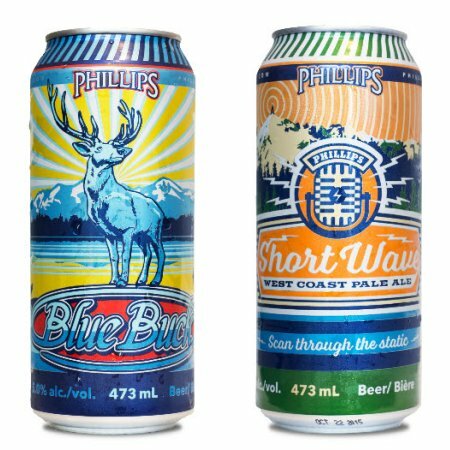 VICTORIA, BC – Phillips Brewing has announced the release of two of its brands – one an old favourite, the other a new arrival – in the increasingly popular tall can format. Scan through the static and discover the Short Wave. This wireless beer transmitter pours a beautiful sunset orange colour with a pillow white head. A medium, malt-forward body is electrified with bright citrus hops until sweetness and bitter are dialed to balance. Both beers are available now at select private liquor stores in British Columbia.